If you had read my yesterday's post on Navaratri, I was telling about Golu contest. Let me write in detail now. This happened say around 6 years back. My parents stay at Nanganallur, which is a very famous place in chennai for temples. Usually, there will be Navaratri celebrations and the winning picture of the Golu will be posted in Nanganallur times, if I am right. Actually the Golu contest is not judged by the number of steps you keep, but the presentation and also how many new dolls you have kept this year. Each participant had to explain about their Golu and how it is special every year. I have not judged but I have witnessed few judging occasions. It will be real fun and informative to watch. Usually the participant will be questioned by the judges and sometimes it will be hilarious too. When taking about Golu, how can I forget the parks created by children (mostly)? I will write more about the Parks tomorrow. Now coming to today's Navaratri special in my blog. Pressure cook the Channa dal for 2 hisses. Make sure you do n ot over cook it. It is very important to add salt when pressure cooking. In a pan, add 1 tsp of oil and mustard. 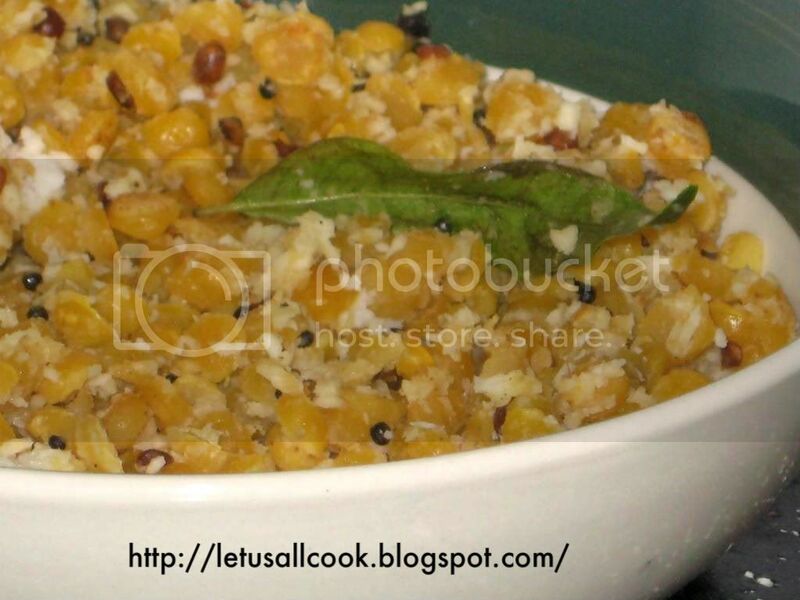 When the mustard pops, add urad dal, hing and curry leaves. Now add the red chillies and saute. Add the cooked Channa dal and mix well. Now add the shredded coconut and mix well. Your Kadala Parupu/Channa Dal/Lentil Sundal is ready. You can also use green chillies but I personally feel that red chillies add a flavour to this sundal. 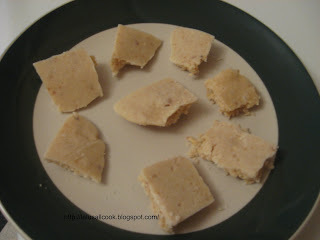 Now coming to the Sweet, I am sharing Kaju Katli, A famous North Indian Sweet. Do check out my previous Navaratri series recipe. 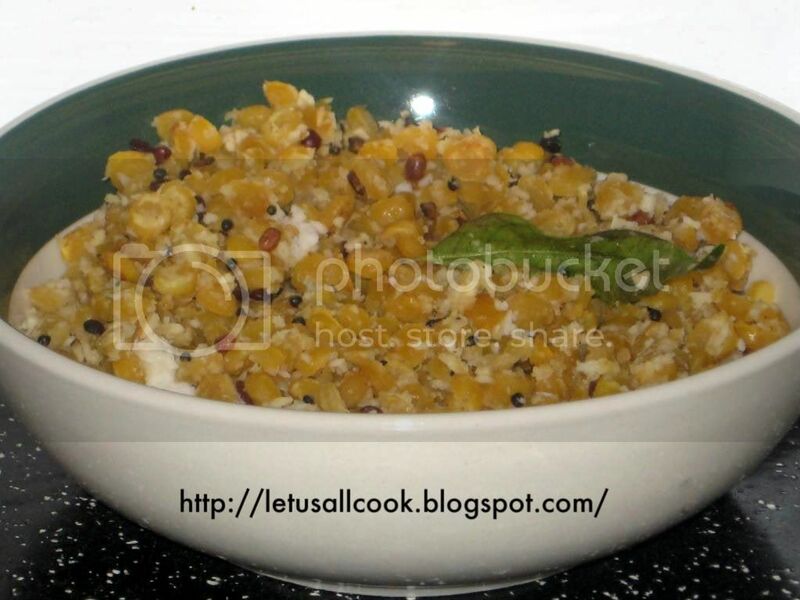 Channa dal sundal looks delicious.. and so is the kaju katli!! is that golu at your place? looks so beautiful and making me nostalgic. Sundal look so mouth-watering. no uma i got it from flickr! I dint keep golu this time...just doing puja!